At the end of the year, most of us back off training and allow for a little downtime and reflection, plus, family commitments are especially time consuming (and fun) during the holidays. It’s also lottery season for many ultras, especially the more historic and popular events. I have conversations with everyone I coach on this topic: What should you consider when thinking ahead to next year to allow yourself to keep progressing and improving your running? Of course everyone has different goals, so this doesn’t just mean trying to get faster. Reflect on the current season. Think back to what gave you the best running memories in the past year, what went right and what didn’t go to plan. If the same kind of issues keep popping up every year, then really try to assess what’s causing problems. That may involve discussion with running friends or getting professional help, such as from a physical therapist, nutritionist or coach. Assess your strengths and weaknesses . . What went particularly well this season, and where do you want to improve for next year? Were there some elements of your running that held you back? Again, talking this through with an impartial third party can make a difference and help you to avoid repeating mistakes or under-performing. Work out what’s important to you . . There are many motivators for ultrarunners, so make sure you didn’t head down a dead end recently by chasing something that wasn’t fulfilling or that bored you. Maybe getting faster used to get your juices flowing, but now the idea of exotic travel or a new type of race would be more inspiring. Just make sure you ask yourself what you want to get out of your running next year before planning out a season. Factor in the lottery gods. Most of you will have your choices restricted to some degree by lotteries, so think hard about any potential clashes. For example, would you really want to run all the events you pick in lotteries if you get extraordinarily lucky and get into all of them? Have backup plans of equally enjoyable events that don’t require lotteries. Just be sure not to over-commit your time. Don’t overload your season. Keep things flexible, at least to some degree. For example, you don’t know what opportunities may come your way mid-season, such as an impromptu group trip. Don’t miss out on wonderful experiences because you’ve committed to too many races. Also, learn from the past about how much your body and mind can sustain in a year of running, especially if you have changed circumstances like a new job or the birth of your baby. Consider trying new things. Numerous studies have shown that monotonous training and racing leads to lower levels of adaptation and physical improvement, as well as a greater chance of injury or mental fatigue. 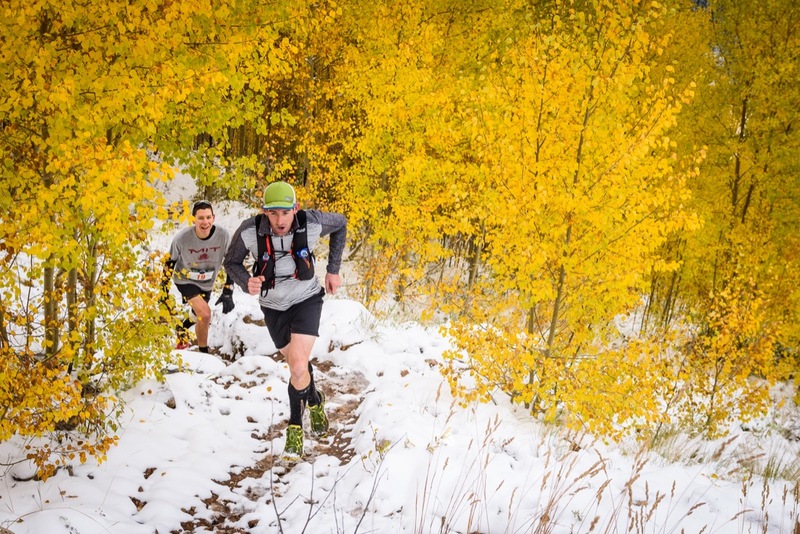 Maybe new races are in order, or perhaps a switch of terrain could reinvigorate your year. Oftentimes, including both road and trail training and racing throughout the year can help to keep it interesting and make you a more balanced athlete. Some of the runners I coach tend to focus on mountains in summer, then get excited for faster road events after that, partly to mix things up for interest’s sake, but also to work on different physical and tactical abilities. Make sure your family buys into your antics. Andy Jones-Wilkins is well-known for involving his entire family in his numerous trips to the Western States 100 and Hardrock 100. He makes them into a family affair, and the kids love the vacations and race day about as much as their dad. That won’t always be the case, and extended trips away from family can be tough on everyone, so talk through plans with your family before committing to events. Enjoy the downtime . . It’s all too easy to feel guilty about “missing” training through winter with some form of off-season, but the more you can embrace it, the better you’ll be prepared for next year. You deserve a break from hard, focused running. Allow the cold months to bring other opportunities to maintain fitness, and possibly include different sports, most notably snow sports that mimic elements of running fitness but with lower impact forces. The key element of planning the coming year is to learn from the past, especially from mistakes you may have made in training or racing. Plus, we all love the buzz of entering events and looking forward to upcoming adventures. May Lady Luck smile on you in lotteries.